Thank you for stopping by at a Muslim Home School; whether you are a parent or teacher, home educator or schooler, everyone is most welcome! Here you will find various learning and home schooling resources, including printables, support and advice. 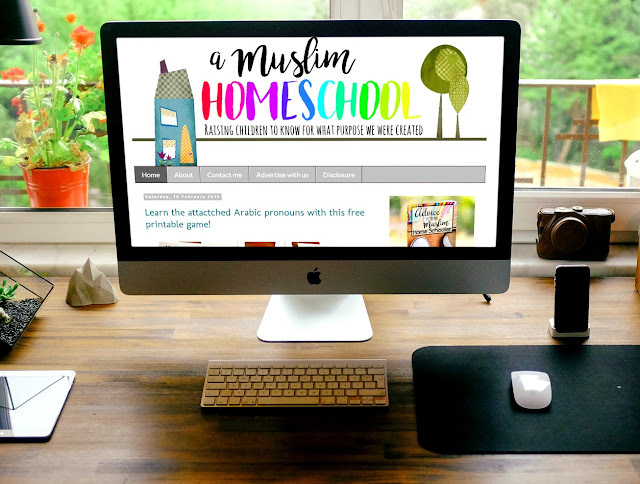 Whether you are looking for help in getting started with homeschool, fun printables for the kids, or just some inspiration, we hope you will find something to benefit from inshaAllah. On the right hand side, scroll down a little and you will see a list of categories, beneath each hosting various tags where you will find appropriate resources, printables and articles. For the curious ones, click through the About page to learn more about a Muslim Home School. Thank you for these wonderful workbooks and free materials. I am genuinely grateful as it's hard to find quality materials for free! Assalammu'alaikum. Hi, I'm Selvi from Indonesia. I want to thank you because your site is really helping me to find islamic resources for my homeschooler sons. May Allah always protect you and your family. Excellent work sister! This is the quality that I was looking for. You are doing a phenomenal job for the Muslim community! Thumbs up!! Thank you this is exactly what I needed for support and guidance.